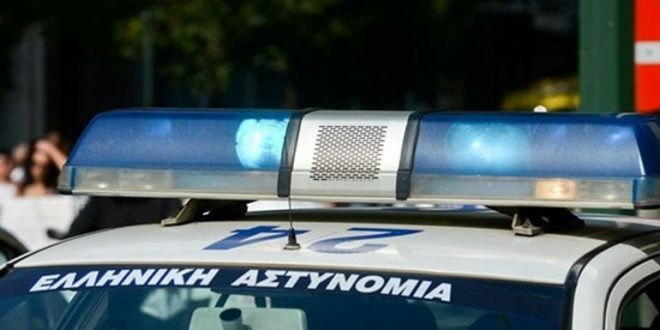 Two FYROM nationals accused in a wiretap scandal that helped bring down the previous government in Skopje have been arrested in Greece, police said. Greek authorities on October 19 said the men were arrested the day before at the airport in Thessaloniki, traveling on fake Bulgarian documents and apparently attempting to travel to Hungary. Greek police said the men — described as aged 35 and 51 — were being held under an Interpol warrant for “high-technology crimes” committed in Macedonia. In their first court appearance, the two denied the charges, calling them politically motivated, and said they would fight extradition to Macedonia. The wiretap scandal in Macedonia surfaced in 2015 when then-opposition leader Zoran Zaev released tapes purporting to contain phone conversations of about 20,000 people who had been illegally recorded, including politicians and journalists. The scandal ignited a political crisis, which eventually brought down the government of then-Prime Minister Nikola Gruevski. Gruevski has denied his conservative VMRO DPMNE party was responsible for wiretapping and blamed foreign spy agencies. After December 2016 parliamentary elections, Social Democrat (SDSM) leader Zaev eventually was chosen prime minister and was given the mandate to form a new government. So these 2 men were in charge of Gruevski’s alleged wiretapping? It’s not clear.